A probation officer plays an important role in the US criminal justice system, as they are tasked with supervising offenders that have just been released or guide individuals sentenced to non-custodial penalties like community service. While there are a lot of things to consider if you want to become a probation officer, one of the keys will be the interview, and if you can ace it, your chances of getting hired go up significantly. Below are some sample questions that will probably be asked as well as how you should answer them. Q: How prepared are you for this job? A: The best way to answer this is to tell the interviewer about the last time you had to beat a deadline in your previous job and how you were able to get it done in spite of limited advance notices. Q: How well can you handle pressure? A: A probation officer job will carry a lot of pressure and you need to show the interviewer that you are up to it. To answer this probation officer interview question, describe how complex and fast paced your previous working environment was and how you were able to cope with it. Q: Can you make difficult decisions? A: This is undoubtedly one of the tougher questions you’ll face but you can answer this easily by telling the interviewer the methods you use to interview parolees or probationers and how you assess their progress. Q: Tel me something about your organizational skills. A: To answer this question, tell them how you prioritize your work and how your planning skills helped you in your previous line of work. In addition, you can check out this guide at Chron for additional information. Q: How can your experience help us? A: The best answer to this question is to cite an example or a hypothetical situation where you can prevent a problem or nip it in the bud by taking decisive action, or you foresaw how the other person was going to react. At the same you can also share a time or moment when you had to take corrective action. While the answers above will work well for juvenile probation officer interview questions there are other ways to create a positive impression during your interview. While you are being asked questions, don’t forget to emphasize your strengths and how it can help you become a probation officer. At the same time, you should offer instances or prove to the interviewer that you have outstanding listening skills. To ace your interview your skills and answers need to focus on all the aspects that are required of the job, and that includes ethics and patience. As this questionnaire sample from about.com will show, you’re bound to be asked questions about this, so point out an instance when you were able to deal with a potentially dangerous or emotional situation while keeping your cool. At the same time you should be honest enough to tell the panel when your patience was tested and you were able to respond in a calm manner. In addition, you should watch out for these. You will be asked when and how you will respond to situations that go beyond the call of duty. Be prepared to share a story of how your attention to detail and management helped in your last field of work. Your manner of answering will also be observed. Don’t be nervous, but don’t appear arrogant either. Instead, speak with confidence and take your time when answering. Pay attention to the question so the interviewer doesn’t have to repeat it. 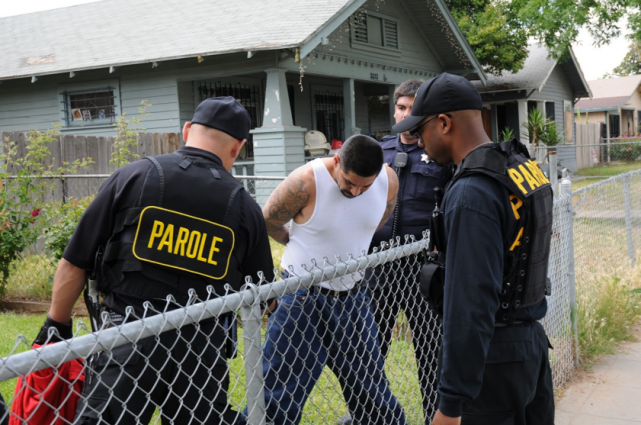 If you’re serious about getting the right answers to parole officer interview questions, you need to do your research. Start by using the Internet and learn as much as you can about the agency you are applying for. Don’t limit your research to just sample questions as it will also help if you know the latest crime rates in the city and the key people in the agency. Some of the things you should know are the population being policed, the chief or sheriff, number of law enforcers there, jurisdiction size in terms of square miles and their mission statement. Maybe only a few of these things may come up during the interview, or maybe they won’t. But mentioning some of the numbers in passing will create a positive impression on the interviewer since you took the time to study the figures. In addition, you should always be early and never late. This rule applies to all job interviews, and probation officer applications are no exception. Next, you need to be presentable. While you don’t need to turn up in a suit, you need to look professional, so avoid earrings and tongue piercings, and your clothes need to be hard pressed and clean. Although it may not be stated out loud, the way you dress will also be judged by the panel board. One of the keys to acing an interview is to always refer to the people in charge by their proper titles. What it means is that if you are in a sheriff’s office, the correct title is “deputy sheriff” and never “officer”. While it may not seem much, the interviewer will definitely appreciate it. Finally, remember that the oral board in a Federal probation officer interview will also quiz your knowledge about common crimes. While you’re applying for a job as a probation officer, some of the questions will center on crimes in the state, so be prepared for that. Finally, don’t forget to make eye contact with the panel member that is interviewing you. Eye contact is a sign of respect as well as confidence, so do it.